In Transparency International’s ‘Corruption Perceptions Index’ (CPI), Indonesia is rising slowly, yet continuously. 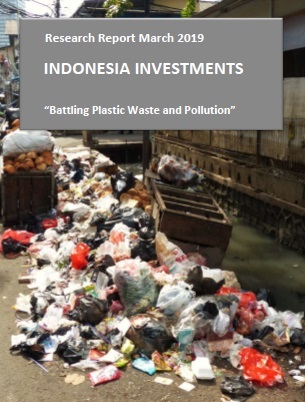 In the latest edition, which was released in January 2019, Indonesia ranked 89th with a score of 38 points (the CPI uses a scale of 0 to 100, where 0 is fully corrupt and 100 is completely clean). The index assesses "the degree to which corruption is perceived to exist among public officials and politicians" in 180 countries and territories across the globe. Although the CPI is a leading global indicator of public sector corruption, it needs to be emphasized that there is not a 100 percent accurate method to measure the degree of corruption in a country, simply because of the nature of corruption (namely that it is often hidden to the public eye). Nevertheless, the CPI is based on polls involving local experts and businesspeople, and because these locals tend to have a good sense of what is going on in the country in terms of corruption, the CPI ranking (as well as the development in the scores of a specific country over a period of time) do provide some meaningful and interesting insights into the matter. Both Indonesia’s ranking (89th) and score (38 points) in the 2018 Corruption Perception Index indicates that the country is perceived to have a high degree of corruption in the public sector. Although the index focuses on the public sector it is a fact that this sector often joins hands with the private sector in corruption cases (for example when a government official is bribed by a private company to obtain specific licenses or to win a tender).